Bombardier has landed a potential $669M contract to supply commuter trains to a state-owned public transportation corporation in New Jersey. 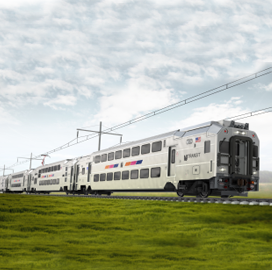 NJ Transit will receive 113 Multilevel III passenger rail cars and may exercise options to procure an additional 886 units through the contract, Bombardier said Wednesday. The deal represents the third signed between the two parties. The company previously delivered 429 Multilevel I and II cars for the statewide transit system. Multilevel III vehicles will feature color infotainment screens designed to display information on stations and connections in real time, USB charging ports at passenger seats, an onboard video surveillance technology and positive train control equipment. Bombardier helped design and build the RiverLINE light rail system that connects the cities of Camden and Trenton. The company is contracted to manage and maintain that system.